In Verbal Hygiene, Deborah Cameron takes a serious look at popular attitudes towards language and examines the practices by which people attempt to regulate its use. 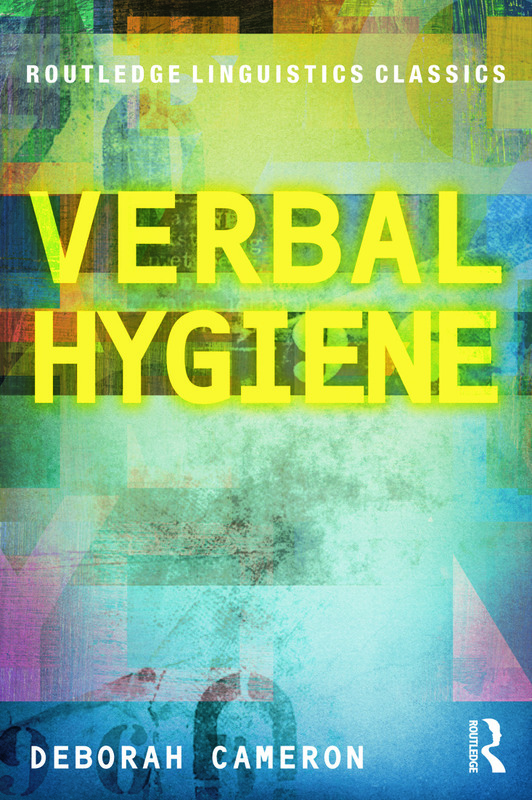 Instead of dismissing the practice of ‘verbal hygiene’, as a misguided and pernicious exercise, she argues that popular discourse about language values – good and bad, right and wrong – serves an important function for those engaged in it. A series of case studies deal with specific examples of verbal hygiene: the regulation of ‘style’ by editors, the teaching of English grammar in schools, the movements for and against so-called ‘politically correct’ language and the advice given to women on how they can speak more effectively. This Routledge Linguistics Classic includes a new foreword which looks at how the issues covered in the case studies have developed over time and a new afterword which discusses new concerns which have emerged in the last 15 years, from the regimentation of language in the workplace to panics about immigration and terrorism, which are expressed in linguistic terms. Addressed to linguists, to professional language-users of all kinds, and to anyone interested in language and culture, Verbal Hygiene calls for legitimate concerns about language and value to be discussed, by experts and lay-speakers alike, in a rational and critical spirit. Preface. Foreword. 1. On Verbal Hygiene.2. Restrictive Practices: the Politics of Style. 3. Dr Syntax and Mrs Grundy: The Great Grammar Crusade 4. Civility and its Discontents: Language and "Political Correctness". 5. The New Pygmalion: Verbal Hygiene for Women. 6. On the State of the State of the Language. Afterword. Notes. Deborah Cameron is Professor of Language and Communication in the English Faculty of Oxford University. A sociolinguist and discourse analyst, she is the author of Good to Talk? (2000), On Language and Sexual Politics (2006) and The Myth of Mars and Venus (2007). Routledge Linguistics Classics brings together key seminal books from the rich heritage of Routledge linguistics publishing. Each book is reissued with the original text, and also includes an additional new chapter, foreword or afterword to situate these titles in current scholarship. These titles have been deemed classics by leading academics and are essential reading for students and all who need to keep up to date with the field of linguistics.